To me the benefits of just simply hanging from a bar are often overlooked, but very clear when broken down. There is a reason you see several individuals instinctively grab onto the top of a squat rack and suspend themselves for a few moments mid-workout. The body often craves the decompressive stimulus it gives. However, due to the simplicity and ease of the movement, many trainers and/or trainees will sometimes dismiss it as a movement worth training. That is until a couple months ago when Ido Portal(if you don’t know him, look him up) issued the, “hanging challenge” to the movement community. This challenge was beautifully simple and gave extraordinary results to those that followed it. All you had to do was hang from something for an accumulated time of 7 minutes each day for a month. Individuals started posting before and after pictures and sharing their increases in movement quality. Variations started emerging and a unique training tool was brought to the eye of the training realm. Just like any exercise, there are special considerations that should be taken before implementation. Shoulder pathologies and special demographics should be heavily debated(think overhead athletes) before being exposed to these movements. Progressions should also be kept strict to ensure full results… NO CUTTING! For those that pass the risk-to-reward ratio and follow through with the progressions, the carryover will be well-worth the effort. Keep in mind that there are several variations out there, each with its own benefits, but for this article, we'll only be exploring the passive, active and arching hang. The passive Hang is the platform of which every hanging progression is built, and for good reason. This variation supplies a very unique affect and actually addresses many typical imbalances when employed at the right time. It’s performed by grabbing onto a bar and then just relaxing the rest of the body. I’m in love with the training effects that this puts on the individual. It provides a great stimulus to the functionality of the rotator cuff while the shoulder is in a decompressed position. Due to the positive relationship to grip activity and rotator cuff activation, the act of grabbing onto the bar should help to reinforce the reflexive stability within the rotator cuff, the oppertunity of doing this in a decompressed position is rare among exercises. This movement also provides a unique affect to help counteract a fairly common grip compensation. By having the shoulders in flexion, this puts the pec minor in a lengthened position. 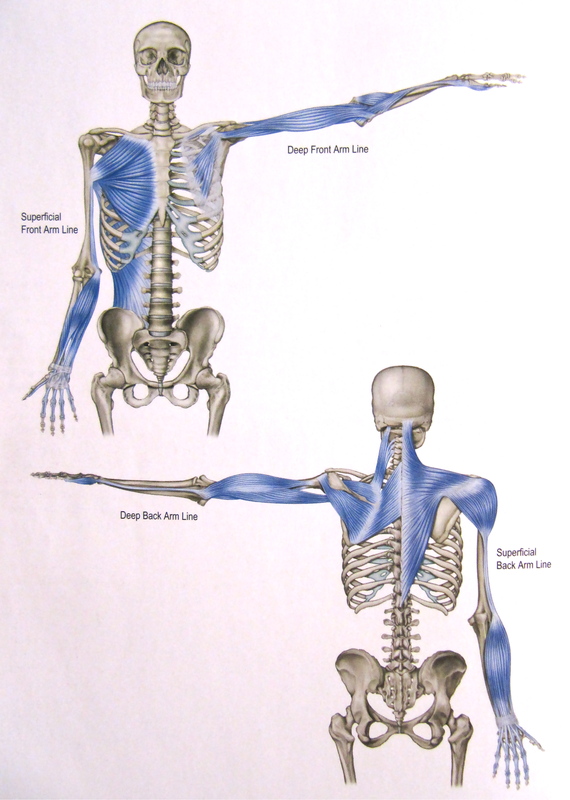 It's fairly common to see the pec minor compensating for grip mechanisms via the fascia of the arm line. So with the pec minor out of the picture, this gives you an opportunity to train the grip to help break that compensation. ANDDDD let's not forget the unique stretch that this is putting on the lats, and serratus anterior. This is an area that is often prone to adhesion and can be a limiting factor in many individual's active flexion ROM. Combine this with the forced t-spine extension and lumbar decompression and you've got quite a nifty tool to put peeps back into alignment or even point out unseen balances. It's not unheard of to notice imbalances in an individuals lateral fascial lines when they're hanging. This can be a pretty crucial find for many manual therapists. **For more lordotic individuals, you will want to consider coaching tucked hips or forward legs to create the decompression. I'd like to reiterate that I never move an individual to active hangs without starting them with passive ones first. The volume/amount of time before I progress them on is all dependent on their shoulder mechanics, posture and general conditioning level. The Active Hang is very similar to the passive hang, except now you create tension and pull your shoulders away from your ears. This movement is great for helping more, "trappy" individuals to find a packed position. Many office-laiden individuals have had great results in cleaning up general shoulder wonkiness through this movement. It also has plenty of movement carryover to things such as OH presses, handstands and, the most obvious, pullups. This has actually become one of my favorite progressions to help a lot of clients to be able to do a strict pull up, correctly. It's far too often that I see athletes pull themselves to the bar and somehow seem to lose their neck in the process. For that reason, I've found this to be the best base to teach the correct prime movers of the pull up. It even has carryover to the deadlift. Yes, this movement can even help your pulling power. By addressing lats and grip strength, it can be a great addition to the end of your deadlifing day. It puts very little strain on your joints, allows your body to decompress after ripping a heavy bar and still creates neural tension. Plus, it leads into the arching hang, which has the most carryover to your pulling power. The Arching Hang is the most advanced variation of the hanging drills within this article, and one of the more advanced variations period. Though it's called an "arching," hang, the majority of the movement is created from the active retraction of the scapula and trying to point the sternum up. So, yes, there should be an arch, but it should not be the main component of the movement. Because of this, it's a more difficult movement to coach and many individuals will take a while to be able to progress to this. Now before you biomechanists start swinging your goniometers at me, keep in mind that there really isn't that much load on the spine through this extension. In fact, because most of the active extension is occurring along the thoracic spine and since there is very little sheer force to the lower lumbar area, I would argue that this is less taxing on the lumbar spine then the multi-segmental extension test of the sfma. It's for that reason that I personally would only give this movement to individuals who get an FN on the MSE. Plus, just because it's an extension-based movement, doesn't mean it's bad. It means it's just more appropriate for some than others. The benefits for this movement are fairly vast. Ido calls this skill, "straight-arm pulling strength" and it translates to a plethora of movements. It can help to improve your bench press mechanics by giving you a stronger base to push from. It can also help to keep your upperback tight during your heavy deadlifts. I know for me, heavy turkish get-ups felt like butter after throwing these in for just one wave. Older PostPart 5: Off-Season Periodization, cont.